SCHENECTADY, N.Y. (NEWS10) – A proposed settlement has been reached in an excessive force lawsuit against the city of Schenectady. A local woman claims two police officers slammed her head into a bench while her hands were cuffed behind her back. Nicola Cottone filed a civil rights lawsuit against the city in September of last year. 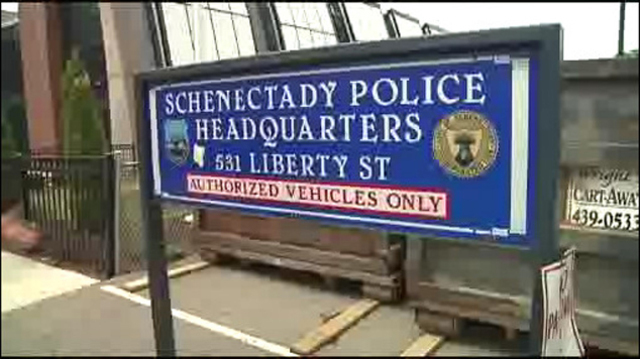 On Tuesday, they reached an agreement, which will now have to be approved by the Schenectady City Council. According to court documents, on September 13th, 2016, Cottone was taken into custody. Prosecutors say as she was handcuffed from behind, Officer Mark McCracken and Officer Andrew McDonald intentionally and maliciously slammed her head into a wooden bench, splitting her head open. The date of the alleged incident also happens to be the day that the city’s new police chief Eric Clifford was sworn in. McCracken was a finalist for the position but ultimately did not get it. He has also since been demoted from detective to patrol officer. Officer McDonald remains on the force as well. The city council president says he could not comment on the terms of the proposed settlement until it’s fully resolved. It will be discussed with the claims committee on October 1. If it passes, there it will be on the agenda for the October 9th council meeting where they’ll make the final decision on approval.